Class workshops (maximum 33 children) usually take place in the morning and last until lunch (3-3.5 hours) or for the whole day if there are several classes. 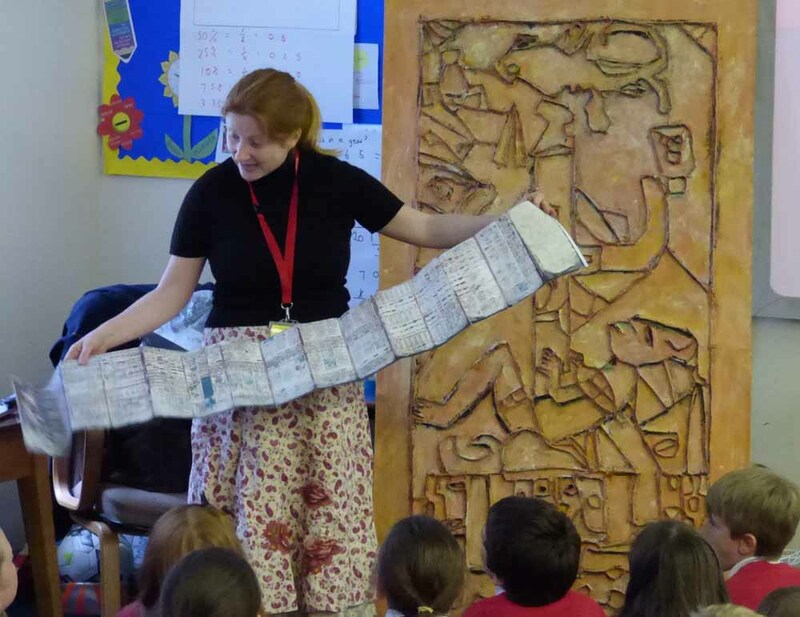 Children carry out activities of historical enquiry and a large collection of Maya artefacts is available. There is also time for questions, as there are always many! Finally, I have created a real-time Maya calendar to help children (and teachers!) understand the topic. Children will make their own copies, learn how to read them and then be able to use them for the next 52 years of their lives! Aside from receiving a wonderful introduction to the Maya, the children get to meet a real-life archaeologist, which makes the experience quite unique! Videos showing myself trekking through the rainforest with all the amazing sounds, also brings the rainforest topic to life for children. Teachers come away with a good understanding of the topic, as well as ideas for future planning. Please note: To ensure that all schools in the UK have the opportunity of these visits, there is no restriction on the distance I travel. Discounts are given on travel for schools located a good distance from my location. 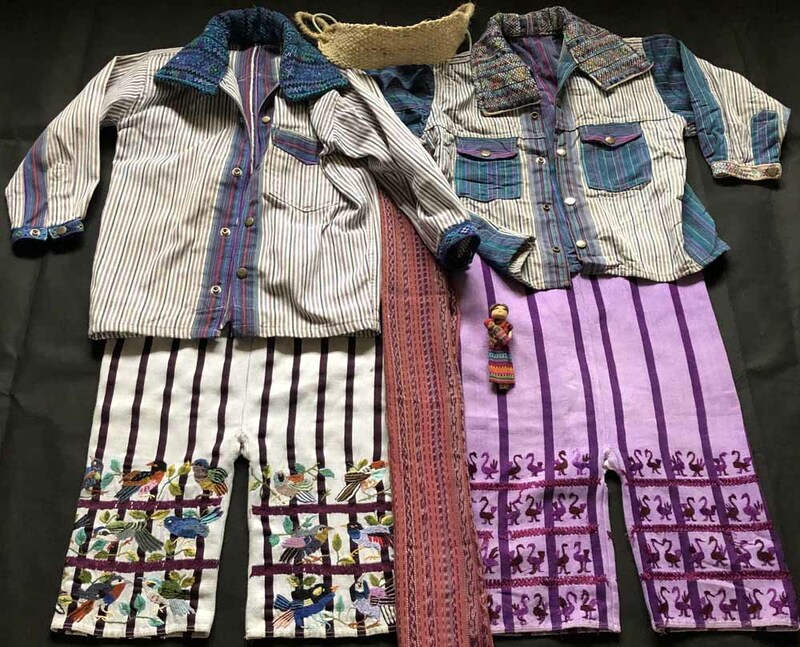 I also give 90-minute interactive presentations to more than one class or several years together, discussing what archaeologists do, the ancient Maya and then my life as an archaeologist and my work on the Maya in the Guatemalan jungle. There is also time for questions, but not class activities or handling of the artefacts (I only bring a selection with me). If you have more than one class, then I can come for a full-day dividing my time between each class. Alternatively, I can visit for half a day offering a combination of a shorter presentation to all followed by mini-interactive workshops with each class. The mini-workshops all include handling and carrying out historical enquiry with my collection of artefacts. 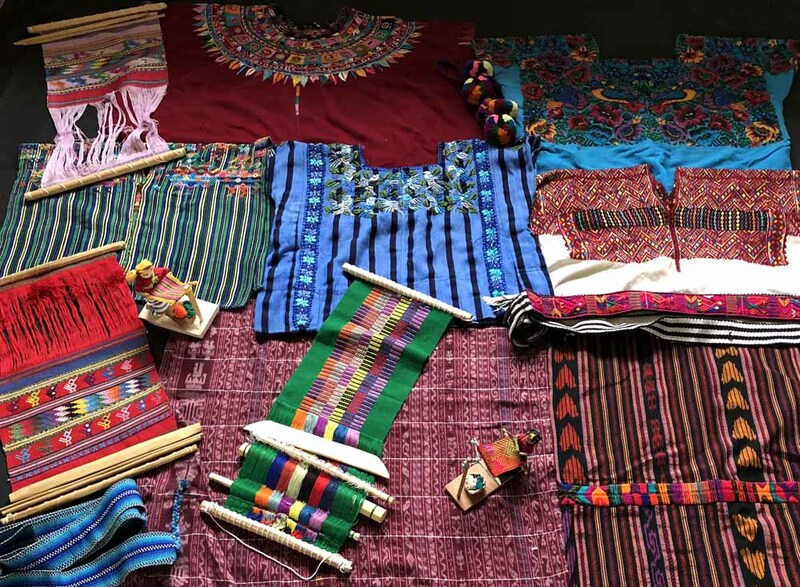 With more time, the children can make their own Maya calendar and learn how to work out the date in real-time, as well as learning how to calculate sums in the Maya number system. 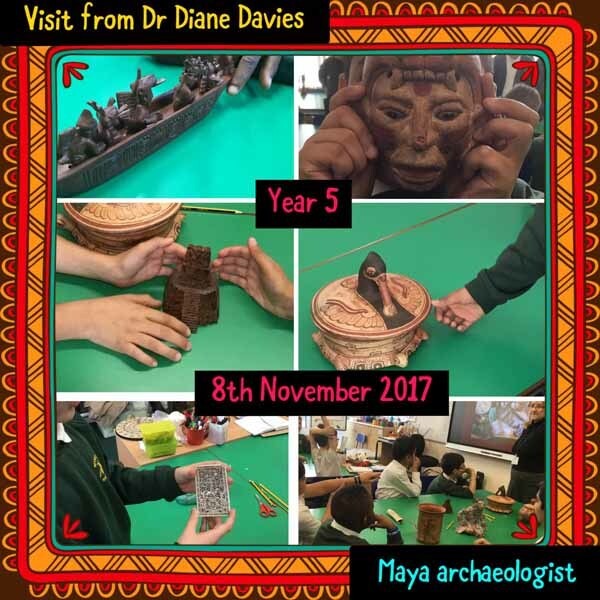 “I would like to thank you for taking the time to come in to our school last week and share your knowledge and experience of the Maya. We all enjoyed your presentation and the pupils have been inspired to become archaeologists. 2016 Milton Primary School, Staffs. 2015 Stapleford Community Primary School, Cambridge. 2015 Halley Primary School, London. 2015 Valley Road School, Henley. 2015 St. Cuthbert Mayne Catholic Primary School, Surrey. 2014 Butlers Court School, Beaconsfield.